Hey marketing gurus, I have a question for you! Have you ever found yourself struggling to keep up with email conversations and daily tasks at your business? Or maybe you’re just curious about how many people open your emails and click on your links? If you answered “yes” to any of those questions, your business should be using a Customer Relationship Management tool, or CRM for short. Let’s give you a run-down of what a CRM is. By using a CRM software, you can have your current customers (as well as prospective customers) at your fingertips. From prioritizing tasks to keeping your emails organized, CRM tools help make marketing easier for you and your business. With everything that goes on behind the scenes of a business, it can be hard to keep up with client communications, new leads, email blasts, and more. Your calendar is full of events that can easily be overlooked, your staff members are all using different “to-do” list apps, and By using a CRM, you can keep everything in one place so you feel less overwhelmed. By tracking your contacts and your communication activity, a CRM can make keeping up with customers easy. Your CRM software will store all of the information you need to keep up with everything in an organized fashion. If your to-do list is longer than your grocery list, it can be hard to prioritize and keep on track. A CRM can help keep your priorities in line while keeping track of what needs to be done. Most CRM tools have a task section that can help you set up reminders and choose which tasks need to be done when. Some can even help with prioritizing by letting you know what leads should be contacted ASAP, and what leads don’t seem to be going anywhere. You can also use your CRM to keep your team up-to-date on tasks, events, and other business priorities. 3. Access Your Data and Insights Now. Are people opening your emails? How many people are accessing your website? These are questions that can be answered immediately with a CRM. While data is something you can calculate yourself, do you really have that time? Not only will a CRM give you data ASAP, but it will save you time (and possibly a headache). All of your data will be at your fingertips, and you don’t have to stress about if you made a mistake or when you will have time to calculate everything. Plus, by seeing this data right away you can fix problems now, instead of when it could be too late. For example, imagine you are watching your email data on your CRM dashboard, and you notice a drastic drop in consumers opening your emails. 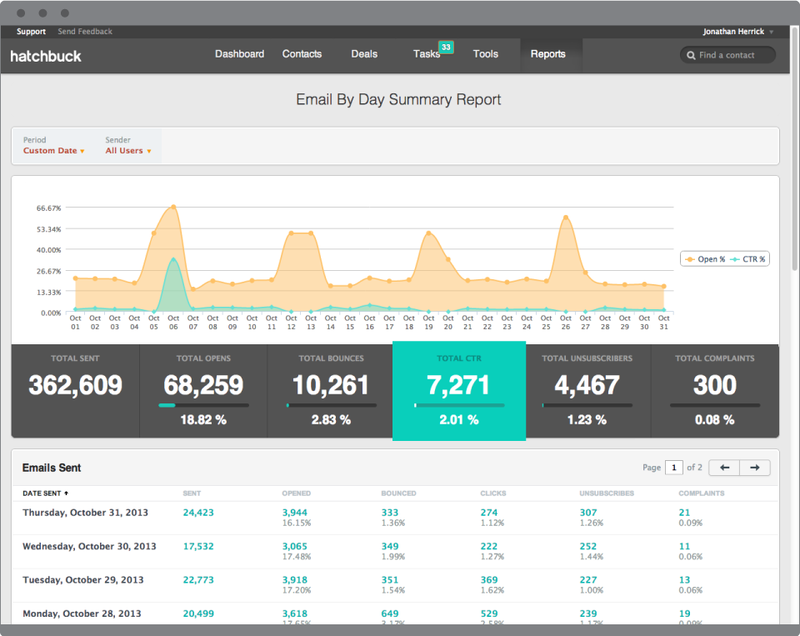 By having this data, you can more easily compare the emails people are opening versus the emails no one clicks on. Maybe the unopened emails have “spammy” titles, while the other emails have a title that is more professional. 4. Ease of Email Marketing. If email marketing is a key part of your business, using a CRM will save you time and show you results. As mentioned before, using a CRM can show you who is opening your emails, clicking on your links, and so much more. By using this data you can figure out what works for your audience, and what is not working. A CRM can also help with creating drip campaigns. A drip campaign is a group of emails that are set to send out on a specific schedule. This will allow you to create emails ahead of time, and then set a date for them to send out. This is ideal for when your business has a “busy season,” because you won’t have to worry about spending time you don’t have creating emails and remembering to send them out. Some CRM’s even make building your emails easier. 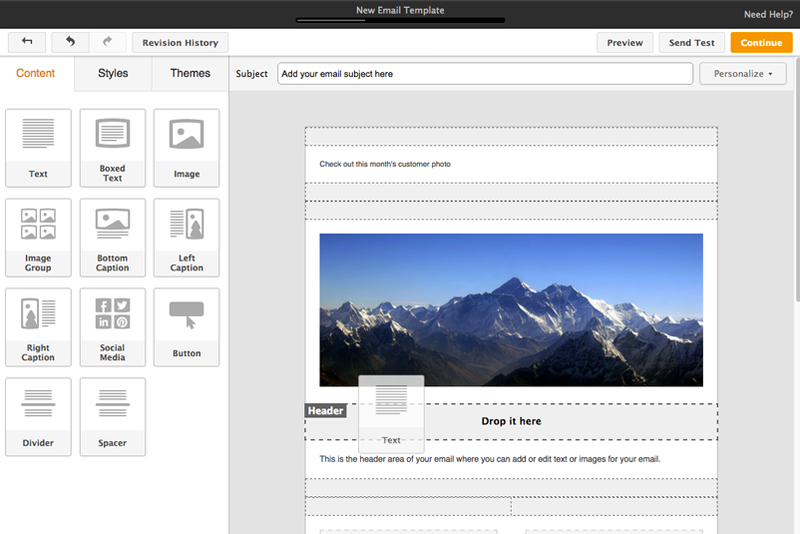 “Drag and Drop Email Builders” make creating emails a breeze. For the more advanced coders, there are HTML options, but for people (like myself) who are new to the world of code, the drag and drop options will save you time and confusion. 5. Build Better Relationships With Customers. All in all, using a CRM can help you gather data on customers so that you know how to communicate with them. If a customer never opens your emails, you don’t want to put all of your efforts into reaching out to them, when instead you could focus on a customer who wants your services. Autoresponders are another way using a CRM can help build better customer relationships. By setting up an autoresponder your customer will receive an email immediately if they fill out your website’s contact form. This can be as simple as a message letting them know you will be getting back to them within 24-hours, or can even go as in-depth as saying “hello” and explaining a bit more about the services your business offers. By using the data and insights you receive from your CRM, you can tailor your marketing efforts to your customers, making them feel important. They won’t be lost in translation, and they will appreciate you and your business more. Basically what all of this comes down to is, if you want to make building relationships with clients easier, and staying organized a breeze for you and your business, invest in a CRM. So, what CRM should you use? There are many different CRM systems out there! Each one has the same concept, however, they all differ with their individual features. You can easily find a CRM that fits your company’s needs and budget. Here at Square 205, our CRM software of choice is Hatchbuck, an easy to use program that has amazing reviews from users and is available at a reasonable price. We feel that Hatchbuck will assist us in helping our clients keep up with customers in an easier and more efficient way. Square 205 is excited to be partnering with Hatchbuck so that our clients can have access to their amazing CRM software. If your business could benefit from using a CRM (let’s be serious, every business should have one), contact us here at Square 205!